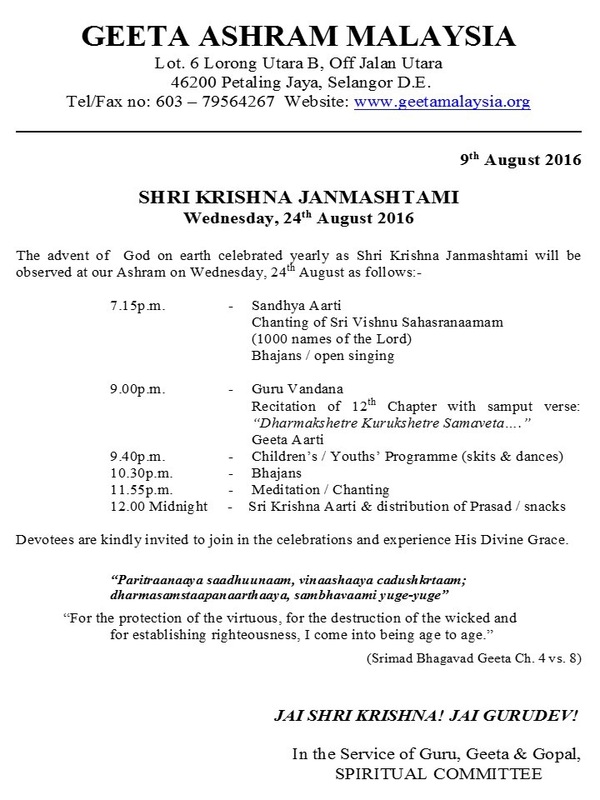 we would like to welcome each and everyone for our Janmashtmi Celebrations at Geeta Ashram Malaysia tomorrow! Our youth and kids will be back in action after a two year hiatus to perform for Janmashtmi tomorrow! We are truly excited and we look forward to having everyone join us on this auspicious day!